It has been years but Urgot is finally receiving his much-needed makeover and well, yeah. Still ugly. Maybe the update didn’t do anything for his looks but he’s packing a bunch of new tricks and one of the unique kits in all of League. So let’s dig into what makes the all-new, Urgot The Dreadnought, so interesting. Urgot’s new passive is called Echoing Flames. Whenever Urgot attacks in the direction of one of his legs, it explodes dealing bonus AOE damage in a cone. Once the leg explodes it goes on cooldown before it can explode again. Since the legs won’t rotate automatically it’s a passive that will reward careful and precise maneuvering around opponents. Triggering this passive is made easier by combining his first ability, Corrosive Charge with his second ability, Purge. Corrosive Charge deals damage and slows in an area while also marking champions. Purge increases Urgot’s attack speed, shields him, and makes him resistant to slows. It also locks onto a target and allows him to circle around them, prioritizing the target hit by Corrosive Charge. This circling gives him an opportunity to proc the passive on all of his legs so it can result in a lot of damage when used well. 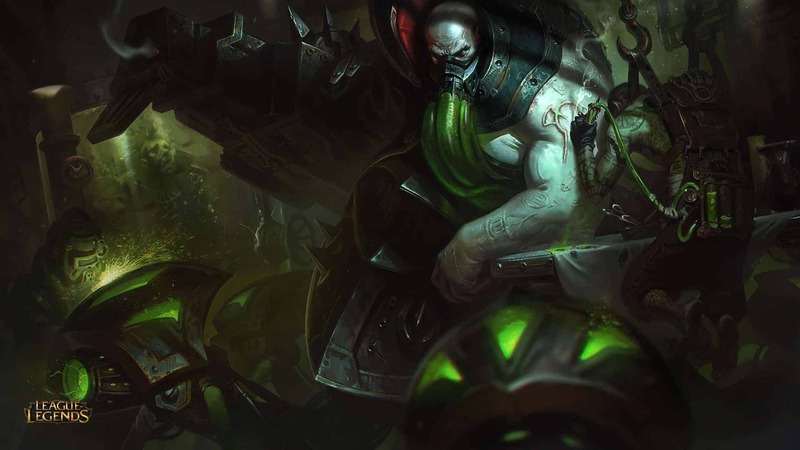 Urgot’s third ability is Disdain and on use, Urgot will charge forward, grab his opponent and fling them over his head. It’s a solid CC move and reminiscent of his old ultimate. You can auto attack, Disdain and then auto attack again for a good chunk of damage and an almost guaranteed double proc of your passive. His ultimate, Fear Beyond Death, shoots out a hex drill beacon that slows and locks onto an enemy champion. And if that champion’s health drops below the threshold before the ultimate ends then Urgot can reactivate the ability to reel them in and literally grind them to death in his gut. It’s pretty sweet. Urgot seems to be firmly slotted in the role of juggernaut now, instead, of…whatever he was before. And this fact alone could mean a major shift in the top lane meta. But that isn’t to say he doesn’t have weaknesses. As most ranged champions he’s susceptible to being all-in and his lack of sustain or mobility can make him an easy target. Overall, it seems as if the rework does a good job of updating Urgot while also including elements that will keep him familiar to his fans.